I Don’t Need Drop Bars on Gravel, Do I? I’ve been riding gravel a lot lately, partially because it is the thing to do these days but mostly because it’s a perfect blend of road and single track. 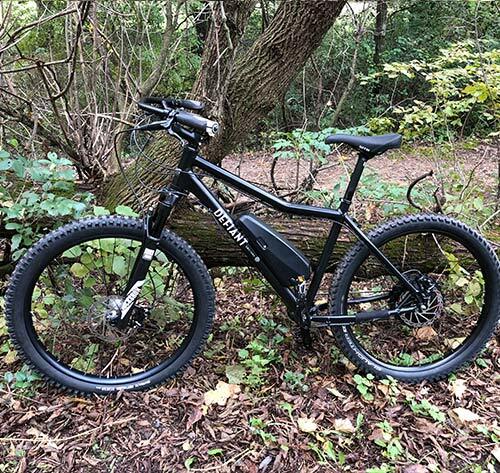 I ride mostly on my Felt F1x cross bike with drop bars and my Defiant One e-fat bike with 750mm wide riser bars. Neither seemed right on gravel to me. I rarely use the drops on the cross bike and I don’t feel like I need the extra control that I get with the flat/riser bars. In my opinion, neither are necessary on a gravel ride. 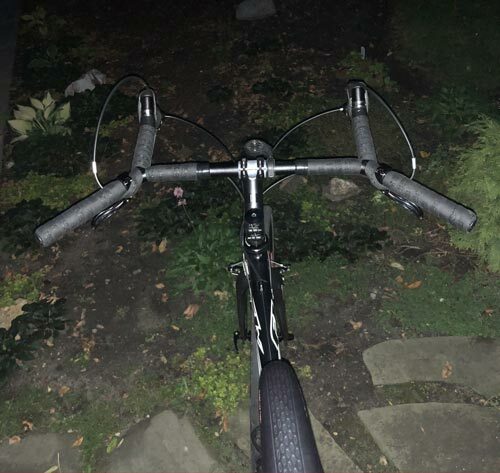 Recently I started trying different bars on my beta model of the soon-to-come Defiant cx/commuter. First up – my old FSA Metropolis bars installed so they rise rather than drop. Yeah, I know these are intended as commuter bars but they are ridiculously comfortable and give me the control I need to maneuver safely on gravel. The problem is when there’s a headwind there is really no comfortable position to be aerodynamic. Not that I’m riding for speed, but there is no reason to make things more difficult. Next, I tried the Velo Orange Crazy Bars. Here they are on my F1x. These freakish looking bars combine wide sweeping bars with bull horns. This totally solved the aero problem I was having with the Metropolis bars but the upright position was definitely not as comfortable. To improve comfort, I removed the tape from the sweep bars and installed Ergon GS1 grips. This improved the ride but it still wasn’t equal to the comfort of the Metropolis. The bars don’t provide a completely natural hand position for me like the Metropolis bars do. Finally, I installed the Jones H-Bar Loop 710. 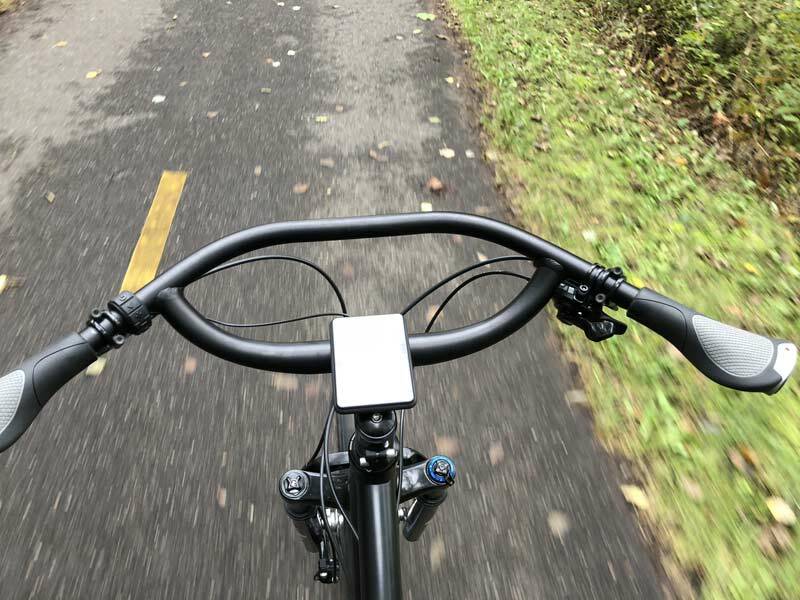 These bars are awesome and a must-have for long haul rides and bike packing. The front loop allows the rider to get low in a headwind and the wide sweep provides a very comfortable upright position. The 710 was a bit wide for me so I cut it down to a custom size. 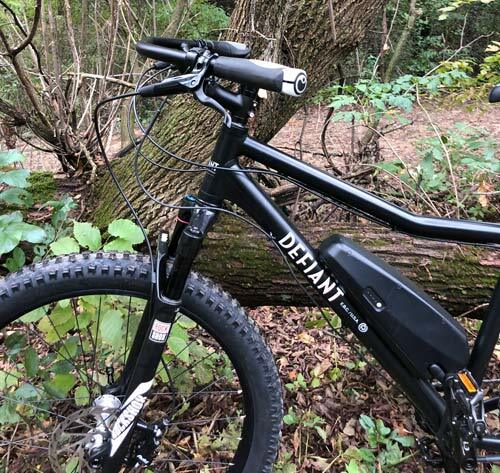 I switched over to my Defiant One e-fat bike and it is perfect. Excited to try it in snow. 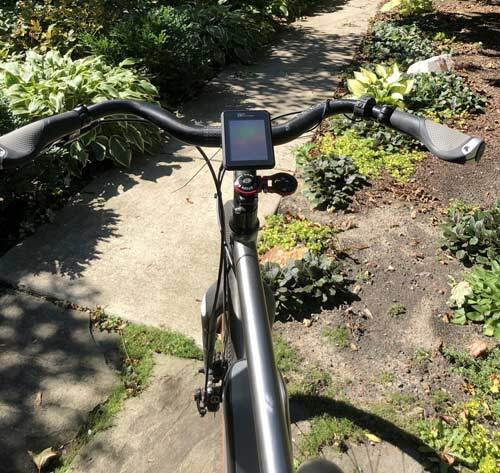 I’m going to stick with the FSA Metropolis with the beta e-gravel bike because it provides the most comfortable upright riding position with good control. For me this outweighs the lack of a solid aero position. The bummer is FSA doesn’t make them anymore. Velo Orange Crazy Bars. These freakish looking bars combine wide sweeping bars with bull horns.